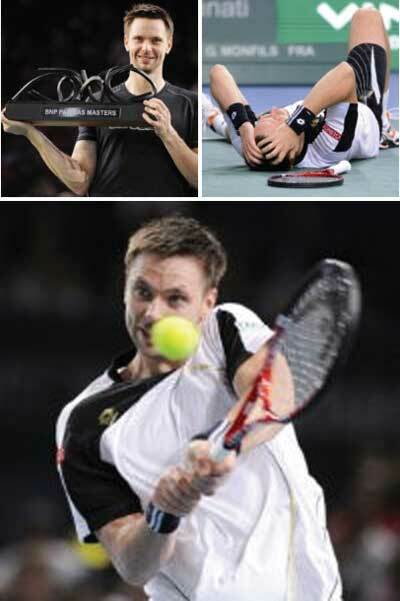 Kennelbach, Austria — HEAD racquet rebel Robin Soderling has broken through for a career-best ATP No. 4 ranking after winning his first Masters 1000 trophy with a dominating 6-1, 7-6 defeat of Gael Monfils at Paris Bercy. It was a day to remember for the Swede who swings a YouTek Prestige MP, as he inflicted his second crushing defeat on the Frenchman in the space of a week. The Paris win in just 77 minutes came after he beat Monfils in straight sets in the Valencia quarter-finals. Soderling’s rise in the rankings nudges fellow racquet rebel Andy Murray to fifth after his loss to Monfils in the quarter-finals. Soderling and Murray will join Novak Djokovic in the field for the ATP World Tour Finals starting on Sunday at London’s O2 arena which wraps up the season.